Home GlaStar & Sportsman Flying Are You a Safe Pilot? Do you consider yourself a safe pilot? Why? When you make a flight in your GlaStar, Sportsman or other aircraft, what kinds of pre-flight safety planning do you do before you start the engine and lift off from the runway? When it’s time for a flight review, how do you prepare? Do you study the FAR-AIM or other FAA publications like the Airplane Flying Handbook (FAA-H-8083-3) or Pilots Handbook of Aeronautical Knowledge (FAA-H-8083-25)? Do you sit down with an aeronautical chart and try to figure out as many of the symbols that you can? 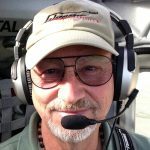 There is a tremendous amount of information that we as pilots are responsible for knowing, and even the most proficient pilots and instructors have to look stuff up. But, what about the basics? If you call flight service, do you ask for a standard (most complete) or abbreviate briefing? Do you simply look online and get some weather information? Do you check NOTAMS , AIRMETS , SIGMETS , AT C delays, etc.? If you have been flying for some time now, are you as thorough as you were when you were a newly minted private pilot or have you let yourself become a just a little complacent and skip or gloss over some basic safety steps prior to flight? If you were in a situation where you had to answer the following quiz, how well would you do? Who is required to have a flight review? Is a written examination required? A: No. The pilot is required to demonstrate his/her knowledge of the general operating and flight rules of FAR Part 91. What counts as a flight review? A: Issuance of a new certificate, rating or operating privilege, or the completion of any phase of the FAA “Wings” program will count as a flight review. An instrument proficiency check does not qualify as a flight review but may be combined in the same flight. Is it possible to fail a flight review? A: A person cannot “fail” a flight review, however, it is the discretion of the instructor whether or not to sign the pilot’s logbook as having completed the review satisfactorily. 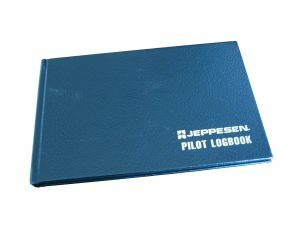 If my flight review is unsuccessful will it be recorded in my pilot logbook or is any notice forwarded to the FAA? A: No, and no notice is forwarded to the FAA. Is my pilot’s certificate still valid if I do not have a current flight review? A: Yes. Your pilot certificate is valid until surrendered, suspended or revoked. You may not act as PIC until you have completed a flight review, however, you may fly as a safety pilot as long as you agree that you will not be the acting PIC. Is a flight review required to fly solo? A: Yes. A pilot is acting as a PIC when flying solo and must have a flight review. Must I have a current medical certificate to complete a flight review? A: You may complete a review without a current medical certificate but you must obtain a current medical certificate before acting as PIC. The instructor may act as PIC during the flight review. Do I have to take a flight review for each category and class of aircraft in which I am rated? A: No. Completion of a flight review allows you to act as PIC in any category and class aircraft for which you are rated. How much time is required for a flight review? A: A minimum of one hour flight instruction and one hour ground instruction is required. I have an instrument rating. Will my flight review include Instrument maneuvers and approaches? A: Not necessarily. You must demonstrate those maneuvers and procedures determined by the flight instructor as necessary to demonstrate you can safely exercise the privileges of your certificate. How long is the medical certificate valid? A: 3rd Class is 60 months for those under 40 and 24 months for those older than 40. How often must a flight review be taken? What is the daytime recent flight experience (trike and tail wheel) required? A: 90 Days. To carry passengers, within the preceding 90 days, 3 takeoffs and landings as the sole manipulator of the flight controls, in the same category and class. Three take-offs and landings in a single engine airplane will not qualify a pilot to carry passengers in a multiengine airplane (FAR 61.57a). What is the night recent flight experience requirement? A: To carry passengers at night, three takeoffs and landings to a full stop within the period from one hour after sunset to one hour before sunrise in the same category and class within the preceding 90 days. The night experience requirement refers to category and class but does not mention tail wheel airplanes. Therefore if you do 3 daytime stop and goes in a GlaStar or Sportsman TD in the preceding 90 days and 3 night time stop and goes in a GlaStar or Sportsman trike in the same period, you can legally carry passengers at night in the TD (FAR 61.57b). ELT Battery Replacement –ELT Operational check: 121.5 ELT, Replacement within 24 months or 1 hour of cumulative use. Testing within 12 Calendar Months, 406 MHz, Battery replacement, per manufacture for replacement, 90 days for testing. 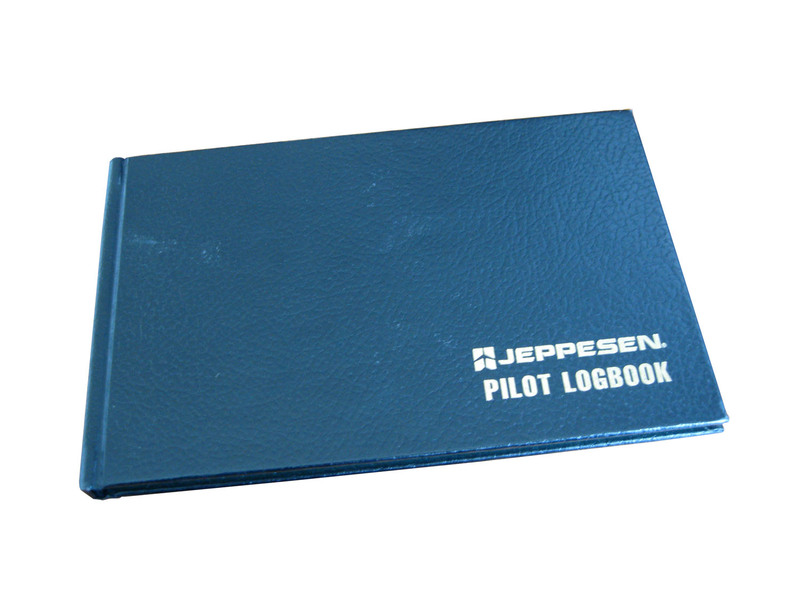 What Aircraft Documents are required to be carried in the Aircraft at all times? Who is responsible for maintaining the aircraft in an airworthy condition? A: The owner or operator of the aircraft is responsible for maintain the aircraft in an airworthy condition. Who is responsible for determining the aircraft is in condition for a safe flight? A: The pilot in command is responsible for determining the aircraft is in condition for a safe flight. The runway lengths of intended use and the takeoff and landing performance of the aircraft. Weather Reports and Forecast, Fuel requirements and an Alternative available if the flight cannot be completed as planned. Any known traffic delays advised by ATC. A: No person may take off an aircraft unless the inoperative equipment is deactivated and marked “Inoperative” and it is not part of the minimum equipment required for day or night VFR or IFR flight as applicable or required in the equipment list by certification of the aircraft. IN DISTRESS: An aircraft in distress has the right of way over all other air traffic. CONVERGING: When aircraft of the same category are converging at the same altitude (except head-on or nearly so), the aircraft to the others right has the right-ofway. A Balloon has the right-of-way over any other category. A glider has the right-of-way over an airplane or rotorcraft. An Airship has the right-of-way over an airplane or rotorcraft. Towing or Refueling aircraft has the right-of-way over all other engine driven aircraft. APPROACHING HEAD-ON: Aircraft approaching head-on shall alter course to the right. OVERTAKING: Aircraft being overtaken has the right right-of-way and the overtaking aircraft shall alter course to the right to pass well clear. LANDING: Aircraft on final approach or while landing have the right-of-way over the other aircraft in flight or on the ground but shall not take advantage of this rule to force another aircraft off the runway that has already landed and is attempting to clear the runway. When two or more aircraft are approaching to land, the aircraft at the lower altitude has the right-of-way, but it should not take advantage of this rule to overtake or cut in front of another aircraft. A: Except when necessary for takeoff and landing, no person may operate an aircraft below the following altitudes: ANYWHERE: An altitude that allows an emergency landing without undue hazard to person and property on the ground in the event of a power failure. CONGESTED AREAS: 1000’ above the highest obstacle within a 2,000’ radius of the aircraft. OTHER THAN CONGESTED AREAS: 500 feet above the surface or no closer than 500’ to any person, vessel, vehicle or structure. A: No pilot may operate an aircraft close to another aircraft as to create a collision hazard. Aircraft may not fly in formation flight unless agreed to by the PIC of each aircraft. Aircraft carrying passengers for hire may not fly in formation flight. What do you do in the event of communications failure? A: Squawk 7600 on the transponder. Stay clear until the direction of traffic in the pattern can be determined. Tune receiver or transmit on the tower frequency as able. Flash your landing light or wave your wings when able to acknowledge transmission or light signals. What do you need to have and when do you need to use them? A: No person my operate, park or move and aircraft unless the aircraft has lighted position lights from sunset to sunrise, lighted anti-collision lights (if equipped), day or night, unless the pilot determines the lights should be turned off in the interest of safety. A: fully operational and tested aircraft transponder, if equipped must be used above 10,000’ MSL, within Class A, B, and C airspace, within 30 nautical radius of any Class B primary airport, over-flying Class B or Class C airspace and the transponder and Mode C must be on in all controlled airspace. What are the visibility and cloud clearance rules for VFR flight? (FAR 91.155) When do you need supplemental oxygen? What information do you need to know prior to and when arriving at or departing from a non-towered airport? Familiarize yourself with the airport. Monitor CTAF 10-15 miles out and announce your position and intentions. 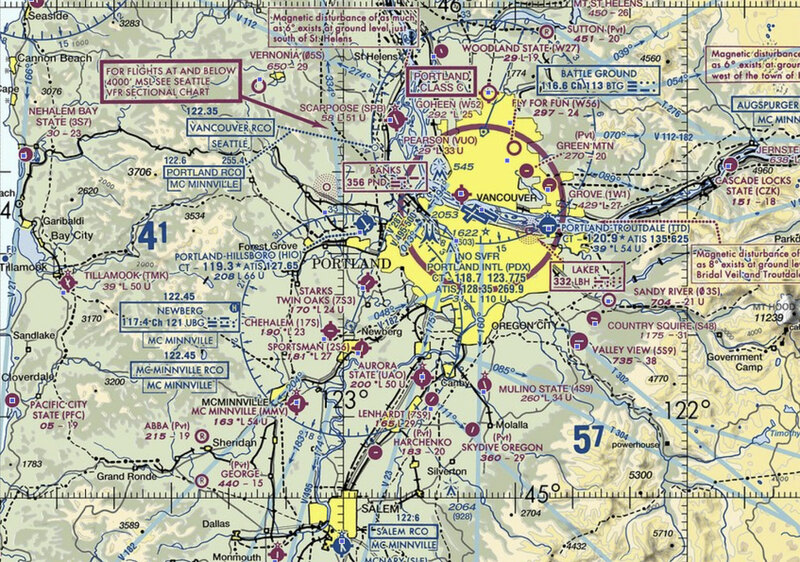 It is a good idea to overfly the airport 500 feet above the traffic pattern altitude and look for the segmented circle and wind sock or landing direction indicator if there is no radio broadcast, Unicom, or other pilots in the area that you can talk to on the radio to find out which way the traffic is landing and taking off. If you are flying in the back country, you always want to overfly the runway to also see if there is anything on it, such as wildlife, people, vehicles, airplanes, etc. It is expected that you will do so every time. Straight in landings are just not safe anytime, but especially when flying into back country strips. Descend to pattern altitude at least ½ mile prior to entering the pattern. Fly left hand traffic unless otherwise indicated. Sectional charts indicate if there is a non-standard pattern entry. Make a standard 45 degree entry or an appropriate upwind, downwind, or crosswind entry. Do not make a straight in approach. It is poor airmanship and may be unsafe even if you make the call “straight in, traffic permitting”. Maintain traffic pattern altitude unless otherwise required by the applicable distance from cloud criteria (FAR 91.155). Make the turn to final at least ¼ mile from the approach end of the runway. Monitor the CTAF during taxi and run-up. Make a 360 degree turn on the ground to look for traffic that you might not otherwise see prior to taxiing on to the runway for takeoff. Announce your takeoff and runway direction and departure intentions. Start the crosswind turn upon reaching 300’ below the TPA to avoid climbing in the downwind leg. Monitor the CTAF until 10 miles away from the airport. What information do you need to know prior to and when arriving at or departing from a tower-controlled airport? Listen to the ATIS information broadcast 15-20 miles out. Note the time of your arrival. Most ATIS broadcasts are updated about 7 minutes before the top of the hour. You may be arriving when a new one is about to go into effect. Contact the tower 10-15 miles from the airport. VFR radar service may be available at some airports to assist the controller in identifying aircraft and providing traffic advisories. The pilot remains solely responsible for collision avoidance and navigation. Enter downwind left traffic unless otherwise instructed b the tower. Notify the tower if you find it necessary to make major maneuvers for spacing. I always ask permission from the tower before making non-standard turns in the traffic pattern. Make sure you have a clearance before landing. Taxi as instructed and read back all taxi and hold short instructions. Remain on the tower frequency until outside the Class D airspace or released by the tower controller. 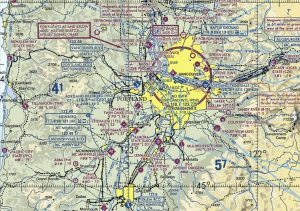 It is a good idea to call the tower just after you are clear of the Class D airspace and let them know you are clear and in which directions. Even if they have radar, they may be busy paying attention to other aircraft. I have been told they do appreciate the call and that lets them know they can now move on to the other traffic and takes they have. It only takes a couple additional minutes and a small amount fuel to make a proper pattern entry, whether or not you are aware of any other traffic in the area. “Taxi into position and hold” or “line up and wait” is another radio call l hear far too often. Why is it that pilots think that just because they hear and see other pilots doing that, it’s OK for them to do it? While it is quite common for a tower controller to issue that instruction, I think it is a bad idea when flying at an uncontrolled airport. As soon as you taxi onto the runway, you lose sight of whatever is going on behind you and you are creating a hazard to yourself and everyone else who may be operating at that airport. Usually pilots do this when the pattern is busy and they think it might get into the queue for departure faster avoiding a long wait for takeoff. I personally witnessed a landing aircraft collide with a departing Cessna 150 with a student pilot on his first solo flight about 50 feet above the runways surface. The landing aircraft was a black Pitts with very poor visibility over the nose. Neither pilot neither saw the other and miraculously neither one was seriously injured. Both aircraft were destroyed. Please don’t put yourself into that position. Another practice that concerns me when flying at an uncontrolled airport is pilots who make a 360-degree turn for spacing in the pattern because they feel they are getting too close to the aircraft ahead of them. Once again, if you are flying in a pattern at an airport with a control tower, and you request that maneuver or the tower gives you instructions that help increase the spacing, they are watching you and everyone else and maintaining a vigilant eye on what is going on. That is why they call it a “control” tower. If you are at an uncontrolled airport and make that maneuver, you lose sight of the aircraft in front of you and it is almost always impossible to pick them up visually once you complete the 360 degree turn. You also don’t know who you may be turning into that is behind you. For a time, you are going in the opposite direction of the traffic pattern and even though you may not be at cruise speed, the closure rate is high and you might be headed right for another airplane setting up a collision hazard. If you are flying a GlaStar or Sportsman, there should never be a reason to need to do a 360 because all you have to do is pull on full flaps and slow it down and fly at 50 knots. Now you can follow just about any other airplane that may be ahead of you. Our airplanes handle beautifully at slow airspeeds but many of you probably do not spend time getting to know just how well they will fly at 50-60 knots. If that does not work for you, then I recommend you exit the pattern on a 45 degree departure and then re-enter the pattern as you would if you are just arriving. I believe pilots who are using any or all of the maneuvers and actions listed above are exhibiting extremely poor judgment and poor airmanship reducing safety dramatically. I implore you to not get caught into the “monkey see, monkey do” scenario here. Actually, I am surprised there is not more emphasis from the FAA and AOPA air safety foundation addressing these issues. Maybe I am over reacting, but I was taught to fly using proper pattern entries, no 360s, and no pulling out on the runway and waiting. So, if you have been building for a long time and not flying very much, or if you are flying all the time, please use good piloting techniques and airmanship. It will reflect well on you and our GlaStar & Sportsman community and all of General Aviation. Most importantly, it will help to keep you your passengers and other around you in the air and on the ground safer and less likely to face an emergency. And if you do come face to face with a bad situation, you will have a much better chance of improving the outcome.